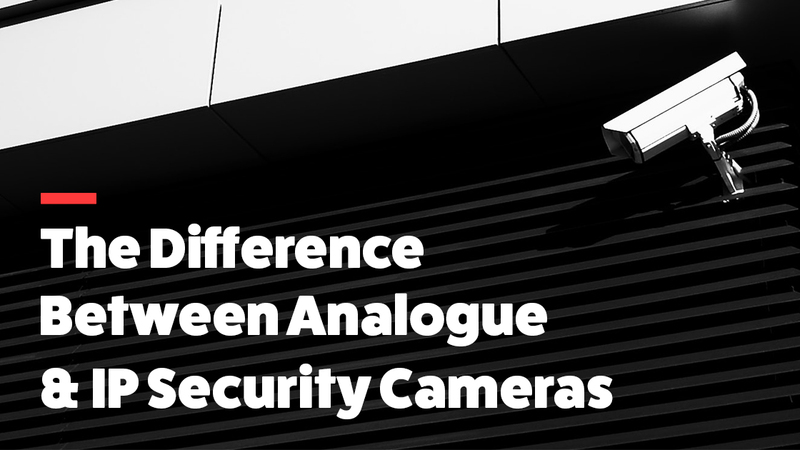 If you’re after security cameras in Blacktown or the surrounding areas and you’ve been doing some research, you’ve likely come across analogue and IP security cameras. In the past, the choice was generally between these two options, but now, analogue cameras are quite outdated. However, it’s important to understand what each involves. Both systems have advantages and disadvantages, but with advancements in technology, IP systems are far better. If you do have an analogue system, upgrading to an IP system would be a wise choice. The difference between the two concerns the way the video signal is transmitted and then compressed. While these kinds of differences may not mean a great deal to you, characteristics like price and functionality likely do. Below, we’ll discuss the differences in simple terms. These security cameras capture video and then convert it into a format that can be received by a television, VCR or a monitor. They basically produce lower quality videos but are generally cheaper. They work well in a variety of lighting conditions and capture motion quite well however the video quality can make it very difficult to recognise a face or smaller details as the resolution is fairly low. These systems were initially easier to install as they required little to no configuration but now, IP systems are just as easy. They were more cost-effective cameras in the past due to a low availability of IP systems, but things have changed now. The pricing of IP systems has drastically decreased and is now very competitive. These camera systems capture the video and the IP camera, acting as a network device, enables the video to be viewed through both existing networks and web browsers through the internet. They provide a very high definition video, enabling you to detect faces and so forth, as well as offering the ability to zoom in and out without compromising the quality. They are slightly more expensive cameras, but they will pay for themselves. Nowadays, IP systems are the way to go when it comes to installing new camera systems. They’re far better due to advancements in technology for all types of premises, big or small. For the best security installers in Sydney, Blacktown, The Hills, the North Shore and the surrounding areas, opt for Red Handed Security! Any questions? Feel free to give us a call on 1300 13 40 33.